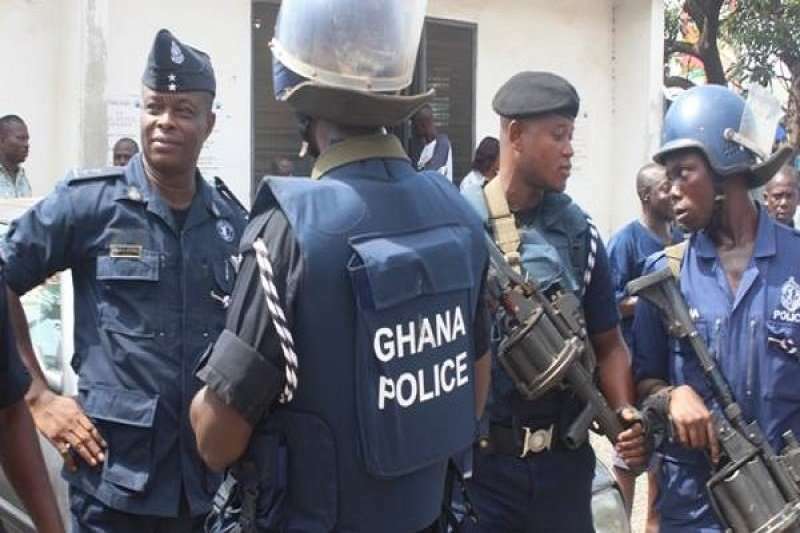 The Police Administration Wednesday said it would not tolerate any acts of violence in the new regions while announcing the arrest of seven persons in connection with the burning of the office of the National Patriotic Party at Salaga. The violence followed the announcement of Damongo as the capital of the Savannah Region. These were announced in a statement, signed by Assistant Commissioner of Police David Eklu, the Director General of the Public Affairs Directorate, and copied to the Ghana News Agency. It cautioned that any perpetrator of an unlawful act in relation to the announcement of new regional capitals would be dealt with as the Inspector-General of Police had directed all Regional Police Commanders, whose jurisdictions covered the regional capitals to be announced, to put in place contingency measures to robustly and swiftly deal with any act of violence. Explaining the arrest, it said the suspects were picked up upon some intelligence in the early hours of Wednesday morning, at Salaga, to assist with further investigations. However, it was in the process of identifying all the suspects in the violence, it said.